16 years, 48 product releases, thousands of features, millions of happy users — it's been an incredible journey here at Salesforce. Together with our partners, we've changed business for the better and brought innovation to life. 16 years, 48 product releases, thousands of features, millions of happy users?—?it’s been an incredible journey here at Salesforce. Together with our partners, we’ve changed business for the better and brought innovation to life. Now, we’re excited to share that our upcoming release will be our biggest, best, most game-changing ever. 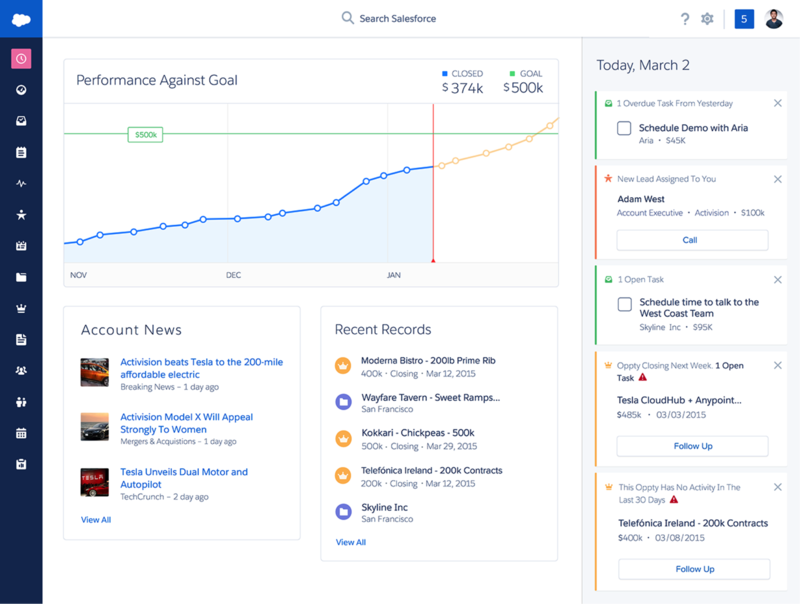 Say hello to the new Salesforce, the Lightning Experience. Lightning Experience: Desktop app, with over 25 new features, built with a modern user interface and optimized for speed. Lightning App Builder: Drag-and-drop technology to make customization fast and easy. The Lightning Experience will be available to both existing customers and net new prospects at no additional cost. The Lightning Experience is available for Sales Cloud, Service Cloud and any platform license for all Editions: GE (existing), PE, EE, UE and PXE. Customers will have the ability to determine when and for whom they want to enable the Lightning Experience. 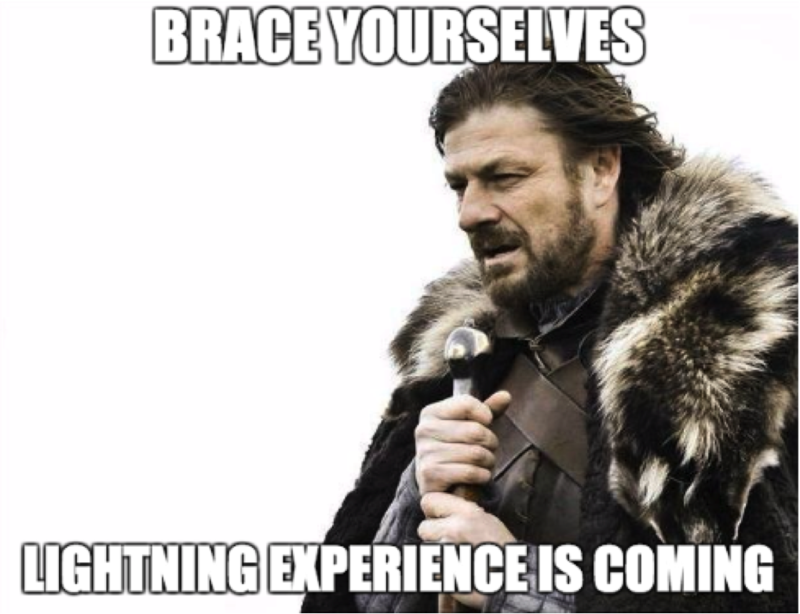 Lightning Experience will be generally available (GA) in Winter ‘16. What happens to the existing Salesforce Classic or the “Aloha” UI? Customers choose both when and which of their users they want to move to the new Lightning Experience. We will continue to support Salesforce Classic for the foreseeable future. Who will be able to use the new Lightning Experience? Customers can choose to roll it out to certain users by using profiles or permission sets. Users for whom the Lightning Experience is enabled will be able to switch between the Salesforce Classic and Lightning Experience in the user menu in the header of all pages. Attributes like field order and field-level security will be the same in the two UIs. How do I get my apps ready for the new Lightning Experience? User experience (UX) is one of the most important aspects of this initiative — it’s practically in the name: “Lightning Experience”. Accordingly, we want to help our partners evolve their applications to this new era of UX. So what does this mean for your existing app? Many apps feature customizations, including custom objects, custom buttons, Visualforce pages. In preparation for the Lightning Experience release, all partners should test their apps to ensure functionality continues working properly in the new experience. Partners can also get their apps designated as “Lightning Ready”. Apps that are Lightning Ready will work in Lightning Experience and offer a more consistent experience with other Lightning pages. If your app uses standard Salesforce UI, objects, page layouts, but no custom Visualforce pages, then you should expect them to display properly in the new Lightning Experience with the new look and feel. In general, Visualforce pages will work in the new UI, but they should be tested to ensure all features are properly supported and functioning correctly. To help customers easily identify apps that work in the new experience, we are introducing a new “Lightning Ready” sash for apps. This sash will indicate what apps have been certified as “Lightning Ready” and therefore will work in the new Lightning Experience and offer a consistent user experience. If an app isn’t yet supported in Lightning Experience, customers can use it in Salesforce Classic instead. Webinar recording, Resources, FAQ, and more! DECK: Lightning Ready – What is Lightning Ready? Dos & Don’ts, everything you need know about getting your app Lightning Ready by Dreamforce 2015. Salesforce Lightning Design System – Login information will be provided when you submit a case to enable the new Salesforce on your GS0 org. Learn Salesforce with Trailhead: new trails and content!